I have been having trouble with my 3D printer over the last couple of months. It turns out that the fans got disconnected. Once I fixed the problem my printer is working better than ever. 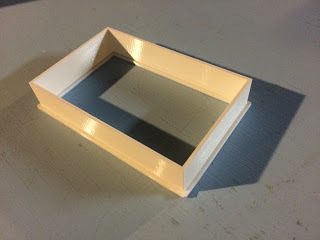 I was itching for something to print so I came up with this simple spacer. 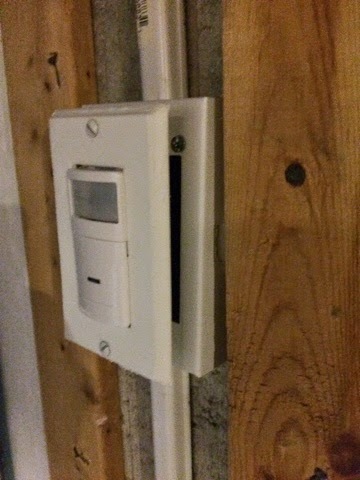 I installed a motion sensor in my basement because the light switch is in an inconvenient place and most of the time we go in this part of the basement my hands seem to be full. 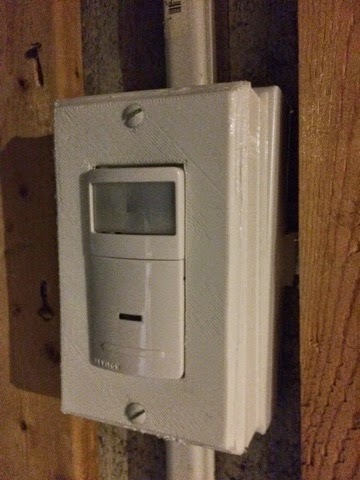 The motion sensor fixes this problem and even found a outlet plate on thingiverse that fit perfectly. The only problem is that the installed switch box is too small for the new sensor and my printed play sticks out a good 15 mm from the box. A few minutes with OpenScad and a two hour print later I have a nice looking solution. Easy and fun! Nice to have my printer back!